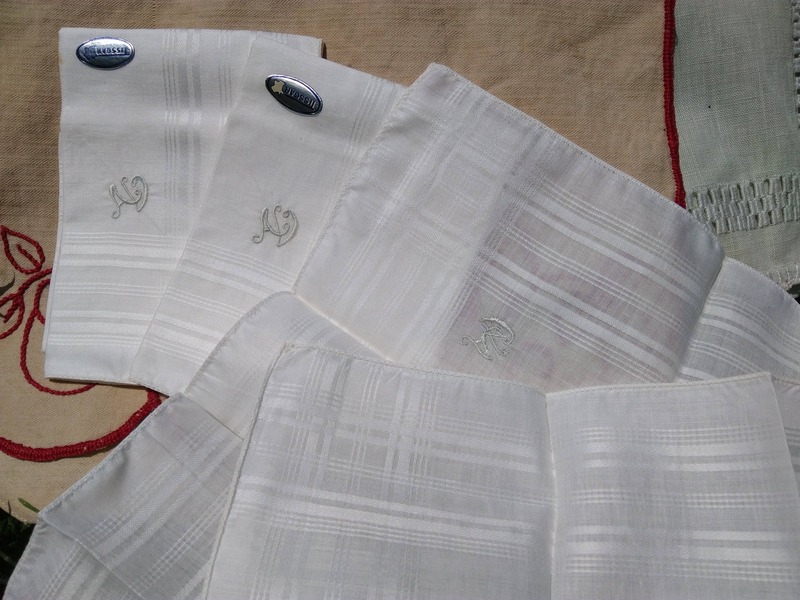 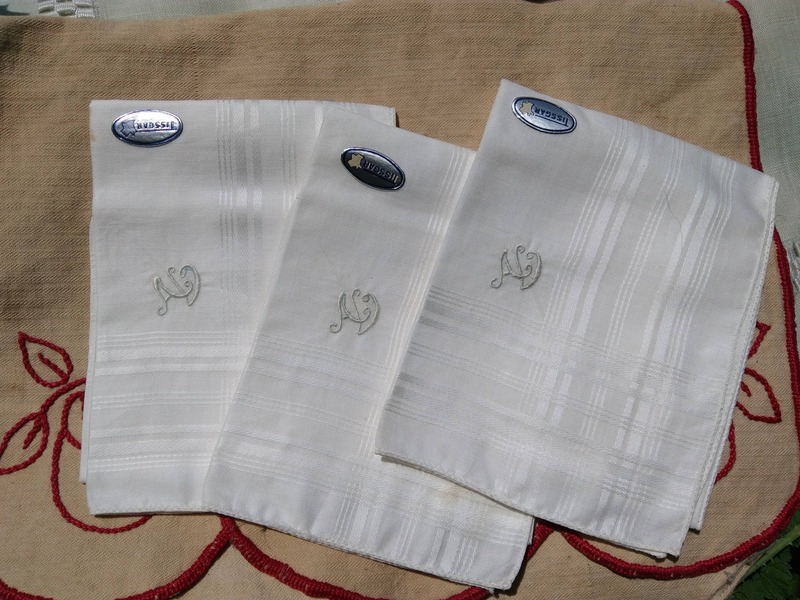 Unused French Handkerchiefs in original condition. 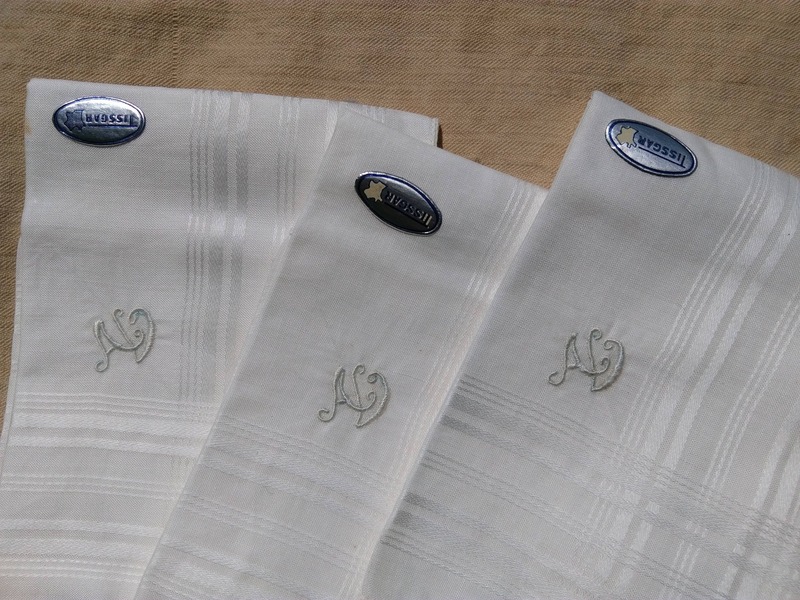 White checkered cotton made and monogrammed "AV". 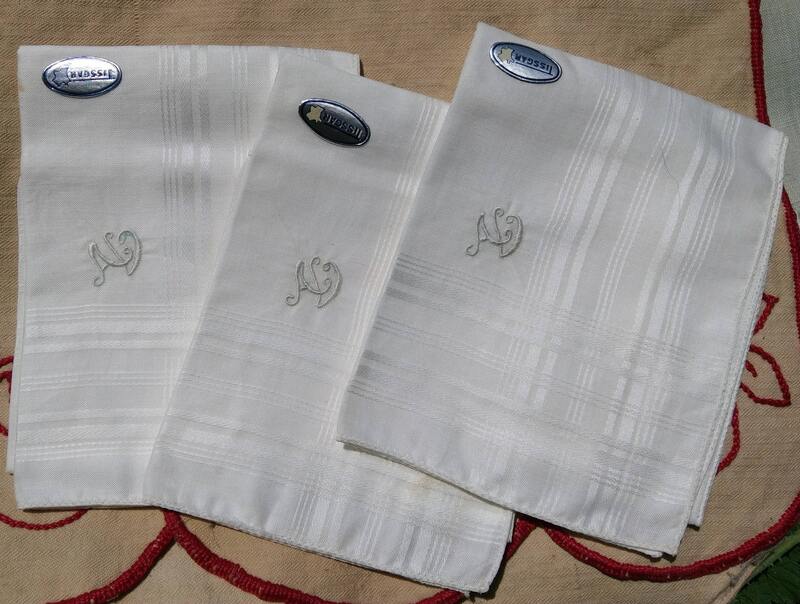 Set of 3 hankies Tagged TISSGAR (Boussac). 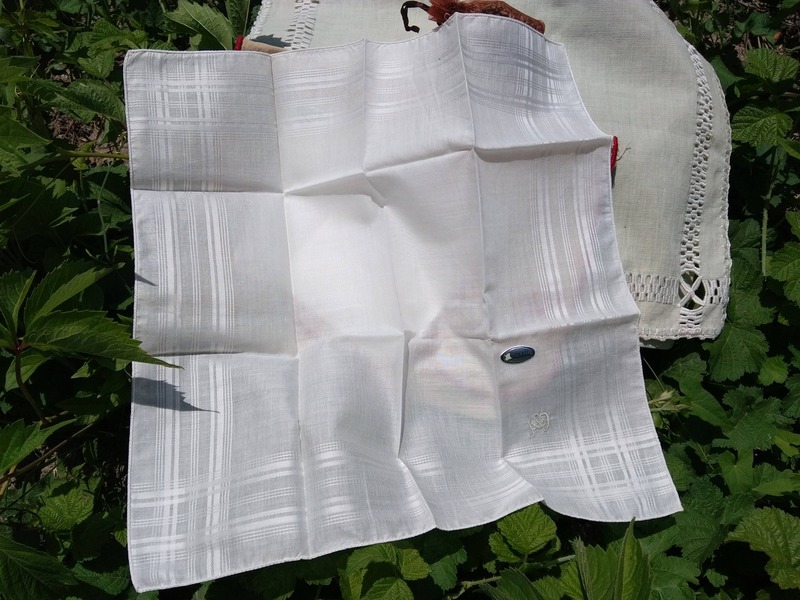 Lovely set of white hankies for both Women and Men.